This Miscarriage Necklace was meant to be a beautiful keepsake to wear and store the memory of your loved one close to your heart. One of my customers lost a child and wanted to memorialize it with a beautiful custom pendant. This is what we came up with with her direction. This one is about the size of a quarter, but it can be made a little smaller or larger. A heart shaped stone could also be used rather than a round one. 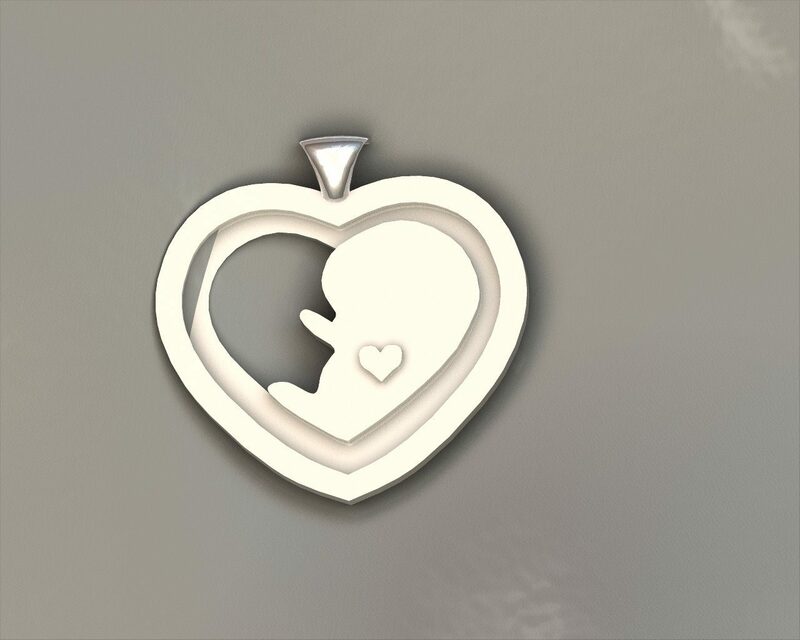 Do you have an idea for a Custom Miscarriage Necklace? Send it over: if you can dream it, I can make it! 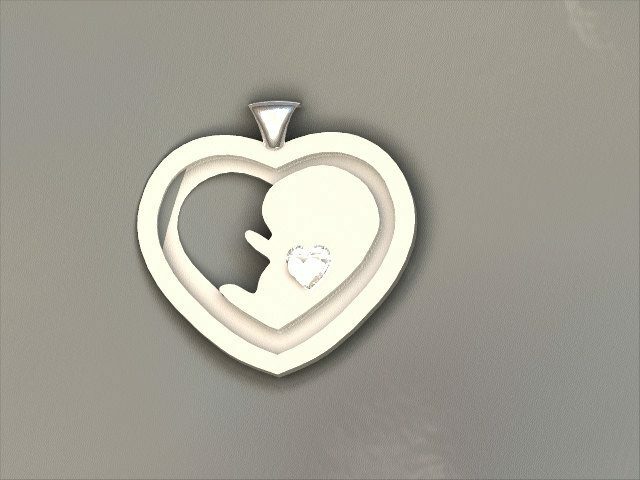 I can make custom Miscarriage Necklace designs up to 3.25 inches wide or tall in Bronze, Brass, Sterling or Argentium Silver, white, yellow, or rose Gold, Palladium or Platinum. If you want the stone, it can be diamond or cz. Click HERE to see another custom necklace design or contact us for your Custom Miscarriage Necklace today.